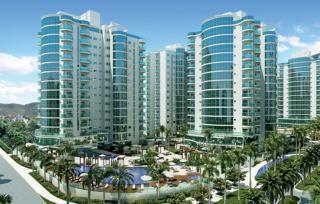 This Radmyx project is promising to be one of the most notable in the south of Brazil! Its features a 200 metre frontage of clear Blue Ocean and a backdrop of lush green mountains. The basement of this development is below the water table so required a product that would be able to cope with this and not, at any point undergo degradation. The developers are also focused on the environment so want to ensure all products used are eco-friendly. Radmyx ticks another box! It is non-toxic, certified for use with potable water and emits no VOC’s. The resort itself has a total area of 131,000 m², consists of 6 condominium towers and a shopping boulevard.